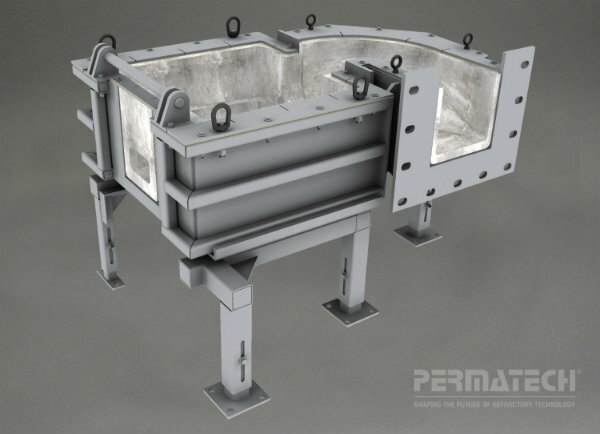 Permatech Systems and Fabrication, a fully-integrated division of Permatech, Inc., provides the necessary steel fabrication and refractory construction to support Permatech Engineering Services. Permatech Systems and Fabrication is supported by a very experienced team of designers and fabrication experts. This team's goal is to provide rapid project management and construction of a wide range of molten metal equipment and handling systems. 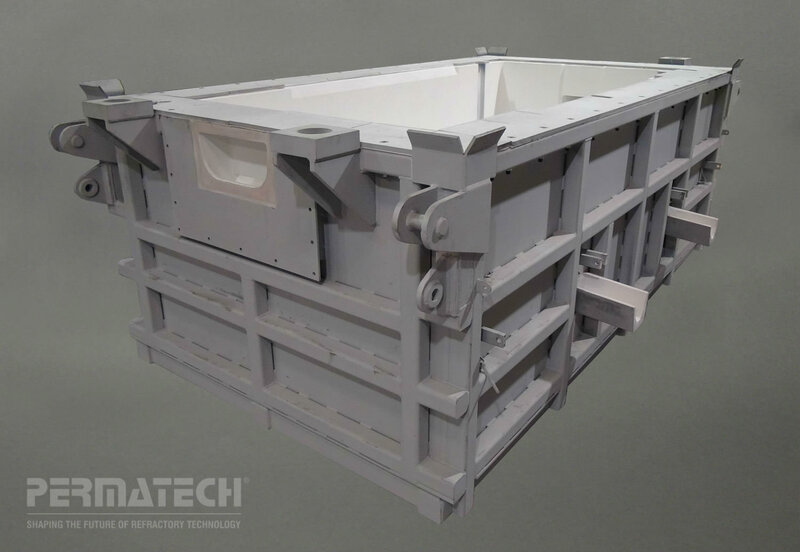 Whether it is the design of a small but intricate casting operation, or a very large and complex degassing unit, Permatech Systems and Fabrication has the necessary experience and capabilities to meet the rigid specifications that are required for today's very sophisticated molten metal operations. 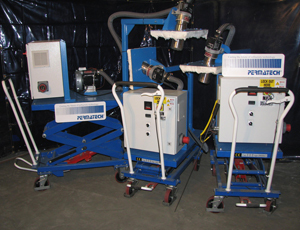 Permatech, Inc. is pleased to offer the safe and innovative, portable HOTFAST™ Pre-heater system. This technology is perfect for pre-heating ceramic foam filter bowls, troughing, casting tables, molds and a number of other applications where controlled dry out is a must.The HOT FAST™ system is powered by electricity, which offers a continuously safe and unmonitored operation without the risk of a possible hazardous explosion . 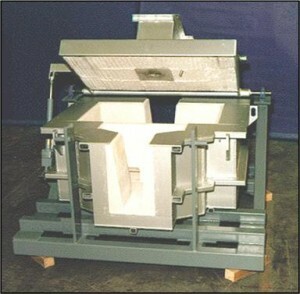 The unit is designed to produce preheat temperatures up to 1500 F (815 C), that can be reached in approximately seven minutes for foam filter bowl applications. This forced hot air system technology never generates high temperature flames to prevent refractory overheating and premature failure. Ready to install troughing systems let you hit the ground running when time is of the essence. 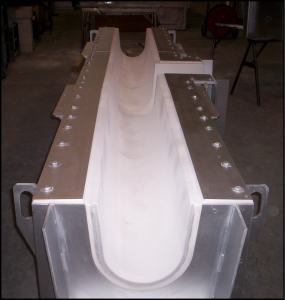 Troughs can be designed to meet the heating and insulating needs of any sized line. Fully engineered systems can be created to determine or maintain a specific temperature drop or shell temperature. We provide rapid project management and construction of a wide range of molten metal equipment and handling systems.